All but one of eight grant proposals to fund money-saving ideas submitted by city employees were approved Wednesday March 25 at a joint meeting of two Los Angeles City Council committees. The Innovation, Technology and General Services Committee and the Audit Committee, which met jointly, only rejected the proposal submitted by the Bureau of Sanitation. The full City Council would need to approve these grants before they could be awarded. The grants would come out of a $1 million “innovation fund” Mayor Eric Garcetti set up last year to encourage employees to come up with ideas to improve the way the city operates. 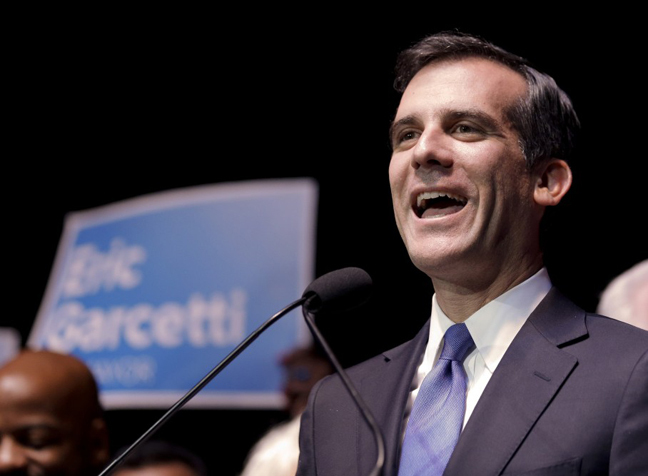 City officials said the response to Garcetti’s call for ideas “exceeded our initial expectations,” with more than 250 ideas submitted. One proposal calls for staffing an ambulance with a nurse as a way to cut down on emergency transports for patients with minor injuries that could be treated on the spot. This way, paramedics would be freed up to respond to more critical emergencies. City officials are recommending that $147,000 be awarded to hire the nurse and allow the fire department to test the idea for six months. A $50,000 grant — increased to $60,000 by the two committees — was also recommended for an online system that allows the public to file lost or stolen property reports to the police department. The idea is inspired by a similar system implemented by the Los Angeles County Sheriff's Department. Other ideas include a $60,000 proposal to redesign parking signs to make them less confusing and a $10,000 request to buy a 3D printer to cut down on the time and resources needed for city architects to create models.